Belonging to the region of Long Island’s Suffolk County, West Bay Shore is just one of those lovely sites New Yorkers love to come to escape the mayhems of the city life. And this is precisely why it is so essential to ensuring that these places remain undisturbed and untouched by the atrocities we know as pests. Who are these pests? They are bed bugs, ants, moths, cockroaches, spiders, rats, and mice. Who is there to save the residents of West Bay Shore from these pests? It is Suffolk County Pest Control at your rescue. Nevertheless, do we need to be rescued from these pests? Apart from rodents, most pests seem and sound pretty harmless. Bed bugs, in fact, are not capable of snatching anything more than a good night’s sleep. Or so you may think. Unlike other pests, bugs do not walk into your homes; instead, they get carried in through frictions in public places such as parks, bus stations, railway trains and shopping malls. Similar to the size of ants, bed bugs are almost invisible to the human eye. The only possible evidence to be received may be the red bite marks you may wake up in the morning. Bed bugs are nocturnal creatures that feed on human blood. 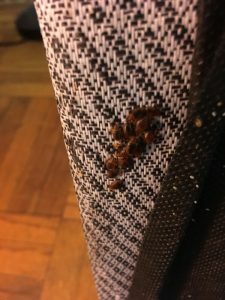 While it may not and does not sound like much of a trouble for a day or so or even a week, no homeowner could imagine living in a house infested with bed bugs for an extended period. To exterminate these pests from every corner of your home, call Suffolk County Pest Control today! Similar to the tyranny of the bed bugs is ants. Unlike bed bugs, ants do not need to be carried into your home; they can pass very quickly through cracks in the wall or exposed wires. Ants are potently attracted to food items such as sweets, meat, and pieces of bread so be sure to keep these sources in sealed containers instead of letting them lay in the open area. In addition to contaminating food items, ants are also responsible for damaging the structure of houses and giving painful, itchy bites to human beings. The specific extent of how much trouble the ants may give you heavily depends on the species you are dealing with. 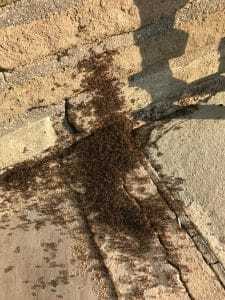 Therefore, the most efficient way to deal with an ant invasion is to call a pest control company that can provide you with ant exterminators who can identify your specific ant situation as well as the appropriate treatment to get rid of the pests. Another quality of ours that makes us stand apart from the rest of the crowd is our willingness to the extra mile. We encourage our clients to ask us any questions regarding the whole operation. A common question homeowners ask our technicians is this: What can we do to avoid such a situation from arising again? The answer varies since each pest has its entry points into the house and therefore also its preventive measures. Check our website for further information. Pest Control West Bay Shore: Call Us Today! 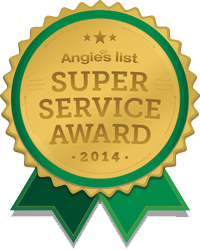 It would be highly immodest to call ourselves the best pest control company in the county. It would also be highly true as well. Whether it is our years of experience, our teams of highly skilled exterminators or whether it be our squeaky clean track record, our reputation and reviews precede us. 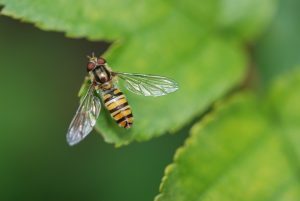 If you are a resident of West Bay Shore and badly in need of an infestation check, Suffolk County Pest Control is your best bet. Call us today to book our services.